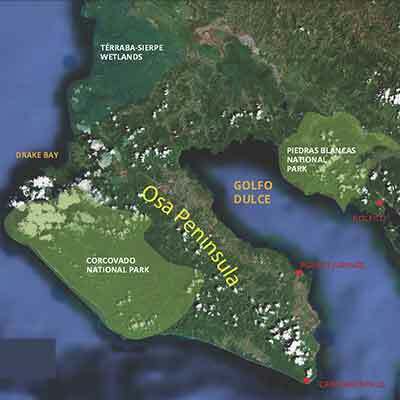 Piro BioStation is the field headquarters for Osa Conservation (OC), an NGO founded in 2003 in the United States that is dedicated to protecting biodiversity of the Osa Peninsula. OC achieves this primarily by creating and maintaining biological corridors, restoring damaged and degraded forest areas, and monitoring threatened species. 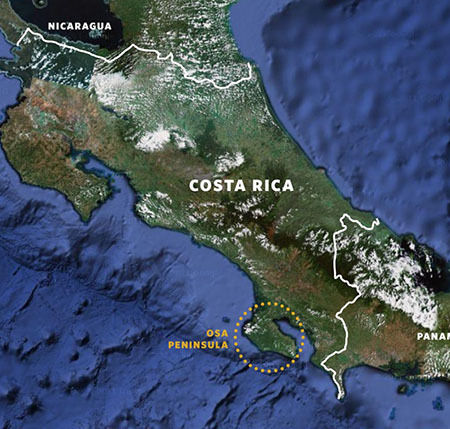 National Geographic magazine has coined the Osa as “the most biologically intense place on earth.” The peninsula is relatively small, covering ~700 square miles and was once isolated from mainland Costa Rica, which explains the high level of observed endemism. It also among the last places in Costa Rica to be settled, and therefore retains almost all of its virgin forest cover. Dominant habitat types in the Osa include wetlands, mangroves, primary forest, secondary forest, and also a thriving marine system. These habitats combined support more than 4,000 vascular plants, 10,000 insects, 700 species of trees, 140 mammals (including dolphins and whales), 4 species of turtle. Entry to Piro BioStation is gained by motor vehicle along a coastal road from the nearest town, Puerto Jiminez. Base camp consists of 3 cabins, a dining and gathering area (Rancho Piro), and a work building that consists of an office, small library, wifi internet and small laboratory. The station was designed and is managed to have as little impact on the environment as possible. As such, power is generated from solar panels and microhydro energy, all waste at the station is sorted into recyclables (plastic, metal, glass), and uneaten food is composted. All housing options are the same, and comfortable. Each cabin has 3 rooms that sleep four individuals. Room consist of 2 bunk-beds, dressers, shelves, outlets and mosquito nets Towels and sheets are provided. It is possible to hand-wash laundry, but we recommend bringing a set of clothes for the full stay. Visitors must bring their own repellent, medications, headlamps, batteries (rechargeable is preferred), and battery chargers. Three meals are provided each day. Typical Costa Rican cuisine is offered at the station. Staples include rice, beans, fried plantain, tortilla, a absolutely delicious variety of fruits and fruit juices, and basic proteins (chicken, meat, and fish). A vegetarian option is always available upon request. The weather in Costa Rica is warm and pleasant year round and is marked by two seasons, wet and dry. The wet season runs from around May to November, receiving the most rain toward the end of the season. The dry season starts in late December and lasts through April. The amount of precipitation can vary dramatically at small scales, for example it was documented that Piro received ~74cm of rainfall compared to 145cm at Cerro Osa, which are just 2km apart. Visitors should be generally pack light long-sleeve shirts and long pants for field work, and a simple sweatshirt is more than enough to feel warm while lounging around at night. Most importantly, make sure you have good rain gear, because you just never know precisely when it will be needed. Although Piro is accessible by road, it isolated by forest and rolling topography. The best way to communicate with the outside world is though WIFI access, which can be connected to from the dining area and the workspace. One can fly to Costa Rica on a number of international airline carriers. With advance notice, it is possible to book a roundtrip ticket from Chicago or Washington D.C., USA, to San Jose, Costa Rica, for less than $500 USD, but these prices will vary depending on your origin. As with any other location, delaying booking a flight will increase your travel prices. If you’re coming from the North or South America you will have no issues with jet lag, but from Europe, Australia or Asia you should be prepared for a transition period. Once you get to Costa Rica, we recommend that you take an additional flight from San Jose to Puerto Jiménez, in the Osa Peninsula. You can do this trip by bus, but it takes considerably longer. Once in Puerto Jiménez, you will travel with the rest of your group by bus or car along the impressive coastline to Piro BioStation. Visas are required for travel to Costa Rica for citizens of some countries. 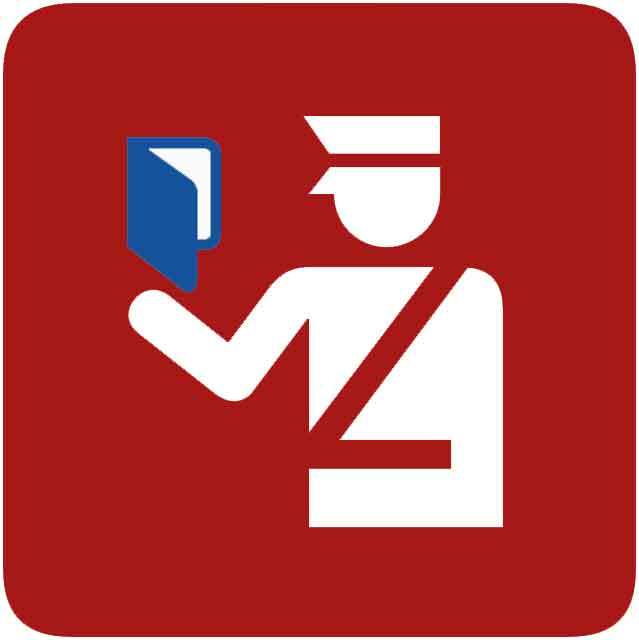 If you are a US or Canadian citizen, or permanent resident, you do not require a visa, but you do need to possess a passport with validity for at least 6-months upon arrival in Costa Rica, and a return ticket to exit Costa Rica. If you are of nationality other than the US or Canada, but you possess a multiple entry visa to the US or Canada, then you do not require a via. Anyone that falls outside of these categories must check whether they require a tourist visa or not. Detailed information is available at the Embassy of Costa Rica in Washington D.C. website. Should you need a visa, you will have to apply for it in person and with all the materials indicated by the consulate of your jurisdiction. Note: It is usually a requirement that you have reserved your international travel before you apply for a visa. Do not wait until the last minute to apply for your visa, in case there are unforeseen complications.